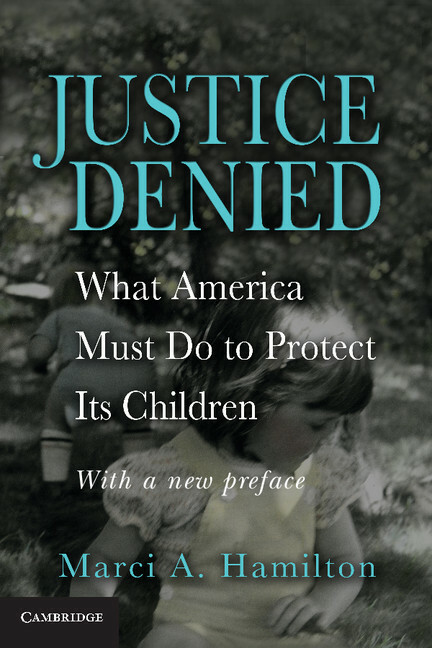 Marci A. Hamilton is author of God vs. the Gavel: The Perils of Extreme Religious Liberty (2007) and Justice Denied: What America Must Do To Protect Its Children (2008). She is one of the United States' leading constitutional law scholars specializing in church/state issues, as well as an expert on federalism and representation. Hamilton is Visiting Professor of Public Affairs at the Woodrow Wilson School and the Kathleen and Martin Crane Senior Research Fellow in the Law and Public Affairs Program, Princeton University, and holds the Paul R. Verkuil Chair in Public Law at the Benjamin N. Cardozo School of Law, Yeshiva University. Hamilton is a former clerk to Justice Sandra Day O'Connor and is also columnist on constitutional issues or www.FindLaw.com. An updated edition of God vs. the Gavel: Religion and the Rule of Law is due out in 2014.